Stacks on stacks dot com. 1. ThredUP is an online consignment store for women and children. You can buy or sell gently used clothing and the shipping is free! Sort by size, style, color, condition, brand, price, and more. Visit here. 2. PaperBack Swap lets you trade books for others that you want for free. And they don't just have paperback books. If the book you want isn't currently available for swap, you can set an alert for when it becomes available. Try it here. 3. Savored gets you reservations at your favorite restaurants and saves you money on your bill. Savored, a part of the Groupon company, gives you discounts of up to 40% at top restaurants for unfilled reservation times. Visit here. 4. FreeCycle is a network of people giving and receiving free goods in their local community. The Freecycle Network is made up of 5,000-plus groups with 7 million members across the globe. It's a grassroots movement for people to give and receive free goods locally to keep things out of landfills. Members can post things that they need or that they have, from clothes to furniture to building supplies and anything else in between. Visit here. Note: Some of the bigger groups are hosted on Yahoo Groups, so you'll have to have a Yahoo ID to sign up. 5. Undebt It helps you organize and manage all your debt in one place. Undebt.it is a free service that helps you use the snowball method to get out of debt. To read more about the method and see the services, visit here. 6. Free Printables will save you money on cards, calendars, coloring books, and more. 7. CellSwapper lets you switch or give away cell phone plans you no longer want to be in without paying break fees. So you and your Framily don't feel so tied down. Untether here. 8. Five Dollar Dinners is exactly what it sounds like: recipes for great family meals for $5 or less. Erin Chase runs this blog filled with recipes, coupons, and tips on how to feed your family on a budget. Visit here. 9. Camel Camel Camel shows you the price history of anything on Amazon and alerts you when the price drops. You can even upload your entire Amazon wish list directly. Try it here. 10. Monoprice has super low prices on all kinds of electronics and technology. 11. Money Saving Mom has coupons, weekly deals, and tips on have to save tons on household necessities. Crystal Paine, housewife and money-saving mom, started this comprehensive household money site after learning how to feed her family of five on $35 a week. Visit here. 12. Financial Calculators will help you figure out taxes, mortgage payments, insurance, loans, and more. Everything you need, all in one place. Visit here. 13. Gazelle is an easy way to trade in your old electronics and make top dollar. They pay you for shipping and some in demand models (like iPhones) even come with bonus cash. You can even sell broken devices. Check it out here. 14. Get Drunk Not Broke tells you which alcohol types and brands give you the most booze for your buck. You can look at their charts or search your favorite brand to get alcohol percentages by price. Start here. 15. ZiLock is an online rental marketplace where you can get anything from electronics to inflatables to power tools to venues. 16. GasBuddy shows you where the cheapest gas is in your area. You can also calculate road trip costs. Visit here. 17. Dealupa puts all the daily deals in one easy location. See everything from Groupon, Living Social, Amazon Local in one place so you can see who has the best packages. Go here. 18. Swap a DVD is just like Paperback Swap but for movies! 19. Supercook finds recipes you can make with whatever you have in your fridge. Just enter the ingredients and browse the recipes for what you can make. Visit here. 20. GoodRx compares prescription prices at pharmacies near you. They search current rates including coupons. Visit here. 21. The Krazy Coupon Lady is a huge online database of printable coupons, mobile coupons, and deals from nationwide retailers. New deals are posted every day. Visit here. 22. Yapta tracks airline and hotel fees in real time and alerts you when the price drops. You can even have them haggle with an airline for a lower fee. Check it out here. 23. Coup Flip lets you sell or trade your unused daily deal coupons. Once you find a better deal on Dealupa, trade your old ones here. 24. Current Codes is a no-nonsense way to find coupon codes for all your favorite online retailers. Simple and easy to use. Check it out here. 25. 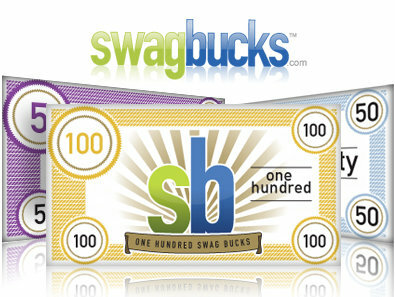 SwagBucks lets you earn points for internet searches, watching videos, and taking polls that you can use to buy gift cards. Gift cards are for places like Amazon, Walmart, Starbucks, and more. Get started here. 26. Neighborhood Fruit lets you buy or sell fresh produce from your neighbor's trees. The site aims to cut down on urban fruit tree waste by sharing excess produce in local communities. Check it out here. 27. Temptalia has a searchable database of makeup dupes — affordable and comparable versions of high end makeup items. 28. Time Bank is an online resource for finding or starting local time banks. 29. Wallaby helps you maximize your credit card rewards points. You can track your rewards online, via its app, or simplify it all by using one smart card from Wallaby. Visit here. 30. Earmark helps you save for things you want to buy by giving up smaller items. You can see how much you've saved toward your vacation by skipping that latte. Try it here. 31. Larky shows you the discounts you're already eligible for that you're not using. See your missed opportunities here. 32. Simple is an online banking platform that actually knows how much money you can spend. Using the financial security of FDIC-Insured banks, Simple is a bank-replacement platform that tells you how much money you can "safely spend" based on upcoming bills. Check it out here.